New partnership makes biometric finger vein scanner available in U.S. 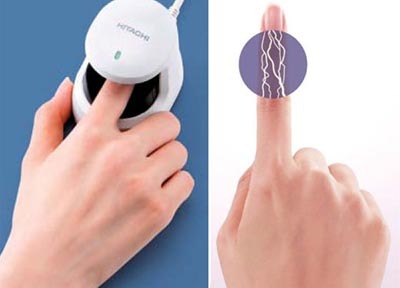 In order to release its H1Biometric Finger Vein scanner to the U.S. market, Hitachi Europe Ltd. has signed a strategic partnership with M2SYS, making the company Hitachi’s primary Value Added Reseller for this product in North America. Hitachi developed the technology behind the finger vein identity management for secure authentication for access control and other identification methods. The scanner uses near infrared light to discover and capture the vein pattern inside a finger. Because the biometric aspect is located within the body, it’s nearly impossible to forge. M2SYS is adding the product to its portfolio of biometric products that include specialty biometric software and hardware designed for all kinds of enterprises.